Home / Gold / Investing / What is E-Gold and E-Silver ? What is E-Gold and E-Silver ? The buzz word now in Gold Market is E-Gold from National Spot Exchange. What's this E-Gold all about and how is this different from Gold ETFs, which are already traded in National Stock Exchange? E-Gold is offered by National Spot Exchange Limited(NSEL) which enables you to buy gold in electronic form, and hold it in a Demat account. 1. You can buy and hold minimum of 1 gram of E-Gold in electronic form. 2. The commission and the transaction charges would be about 0.5%,same as you buy any other ETF from NSE. 3. E-Gold can be converted it into physical gold, which is known as re-materialization and there are charges for this re-materialization. The minimum quantity for converting into physical gold is fixed as 8 grams. 4.Rematerialization facility is currently available in 15 major cities and hence if you want to convert it to physical gold, check with your broker. 5. VAT: When you rematerialize you will have to pay some rematerialization charges (which will be in the range of Rs.150 for 8 grams), but the VAT might be a bigger amount based on how much quantity you hold. 6. The storage charges of holding gold in demat form is Rs.0.60 per unit/month. 7. The purity of e-gold is not approved by LBMA and there is no standard benchmark in domestic gold prices. 8.One can trade in gold ETFs only till 3.30 p.m., while e-gold can be traded till 11.30 p.m., providing the investors better opportunities and flexibility. Apart from E-Gold, the other commodities available are E-Silver and E-Copper. Since no Silver ETFs are available currently, E-Silver is a better option, if anyone wants to invest in silver. And the minimum quantity is been fixed at 100 grams and the transaction charges are similar to E-Gold. You can get the live data from National Spot Exchange. 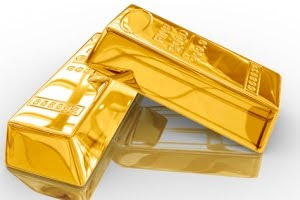 The idea behind both e-gold and gold ETFs is the same, which is relieving investors of the worry of storage and purity, making gold investment more efficient and convenient. Though E-Gold is a cost-effective for people who have a long investment horizon, investing in gold through ETFs would be more prudent for small investors. This product seems to be a bit expensive than ETFs. e-gold option is good for those who r looking for physical gold, but in small portion.